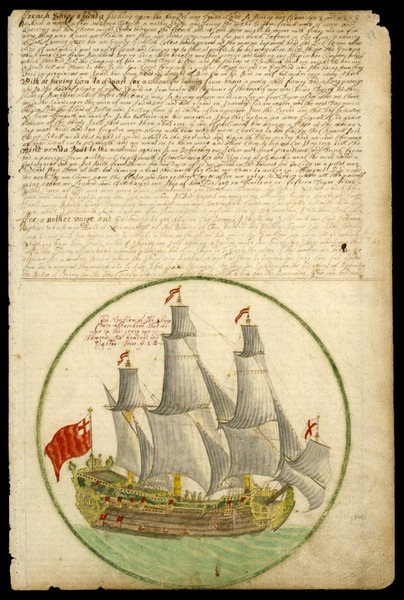 How can historians recover the nature and the significance of the interconnectedness of early modern Anglo and Iberian Atlantic worlds? One option is to study the maritime workers who laboured on the deep-sea sailing ships that were crucial to empire building and the expansion of capitalism during the age of sail (roughly 1500 to 1850). The crews of the deep-sea sailing ships that traversed the Atlantic Ocean in this era were “motley” or multi-ethnic. Sailors who were born in England and England’s North American colonies commonly toiled alongside people from many different parts of the world, including cities in the vast Spanish and Portuguese empires such as Cadiz, Lisbon, Cartagena de Indias and Lima. Native Americans and free and enslaved Africans also joined the maritime labour force. Challenging the notion that elites were the early modern world’s only political theorists, Rediker contends that maritime workers invented many of the radical philosophies that gained currency in the Atlantic. He shows, for example, that a servant who had spent many years as a sailor and had voyaged to Brazil was the main source of information for the French philosopher Montaigne’s famous sixteenth-century essay, On Cannibals. The seaman’s account of the indigenous people who populated the New World shaped Montaigne’s declaration that Native Americans were not barbarians but “noble and dignified people” who deserved to be treated as such. Rediker says that it was not out of the ordinary for Montaigne to seek advice from a sailor. In fact, it was common practice for writers and statesmen to go to the docks to seek out lessons about distant parts of the world from the seamen who knew them best. Rediker argues that the deep-sea sailing ship was a fertile ground for the formation of egalitarian and anti-authoritarian politics. 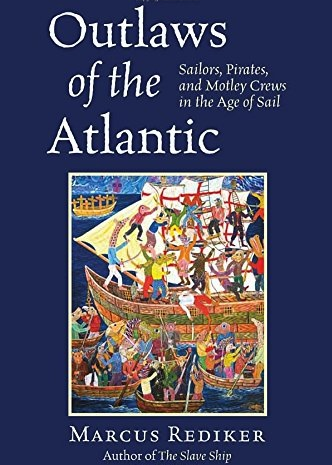 Outlaws of the Atlantic uses a fascinating array of sources, including the seventeenth-century sailor Edward Barlow’s 225,000-word journal, to demonstrate that maritime workers developed a sophisticated class politics. Men like Barlow attributed their collective shipboard suffering of hunger, violent punishments, and fundamental lack of liberty, to the desire of powerful people to profit from the exploitation of the weak. He shows that motley crews imagined and often tried to implement alternatives to their subjugation. Rediker considers the experiences of the thousands of seamen who became pirates in the early eighteenth century. He describes the pirate ship as a novel experiment in egalitarianism and democracy. Rejecting the hierarchy of a royal navy or merchant ship, pirate crews elected their own leaders and voted on important decisions. Rediker also shows that slave ships could be sites of resistance where enslaved Africans revolted against those who were transporting them across the ocean in chains. In the second half of the eighteenth century sailors, pirates and motley crews became “the driving engine of the American revolution.” In the 1740s maritime workers led mass riots in North American port cities that attempted to stop the abhorrent practice of impressment, or of forcibly recruiting people into the royal navy. Rediker argues that these protests transformed political discourse and political strategy. For example, after witnessing these riots, Samuel Adams Jr. developed a new “ideology of resistance, in which the natural rights of man were used for the first time… to justify mob activity.” The violent tactics that sailors used in impressment riots, such as attacks on naval property, were later used in protests against the Stamp Act later in the 1760s. Outlaws of the Altantic leaves us wondering, did the cult of Cinqué spread beyond North America? Did Cubans and Mexicans also celebrate the feats of the black pirate? 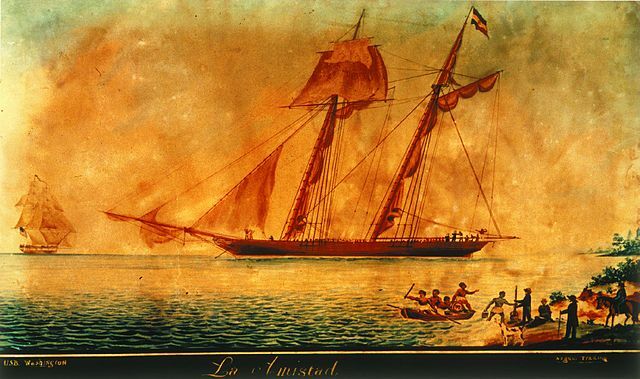 Rediker’s research would lead us to assume that maritime workers spread the story of the Amistad rebellion throughout the Atlantic world and beyond. This book sets the stage for further studies of anti-authoritarian proletarian traditions that ran across and beneath nation-states and empires. Marcus Rediker’s wonderful explanation of the Frantz Zéphirin painting he used on the book cover.